Dr. Hatch is passionate about caring for his patients. 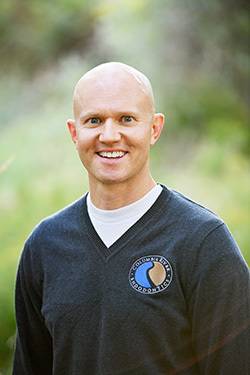 When founding Columbia River Endodontics, he chose for the practice motto At Your Service, which he strives to emulate every day by treating each patient with kindness, compassion, and skill. After graduation from Indiana University School of Dentistry, Dr. Hatch went on active duty in the US Army Dental Corps and completed a one-year Advanced Education in General Dentistry at Fort Jackson, South Carolina. It was an amazing training program with a lot of one-on-one instruction from specialists in most of the dental specialties. In 2005, he began a Residency in Endodontics at the US Army program at Fort Gordon, Georgia. Dr. Hatch also trained frequently with the endodontic department at the Medical College of Georgia School of Dentistry in Augusta, Georgia. After serving as the Chief Endodontist for three years in Baumholder Germany, Dr. Hatch was happy to settle down in the Tri-Cities with his wife and four children. They are grateful to be here in the Tri-Cities near family and friends and make this their permanent home. Dr. Hatch is a member of the American Dental Association (ADA), the American Association of Endodontists (AAE), the Washington State Dental Association (WSDA), and the Benton-Franklin Dental Society (BFDS), for which he currently serves as Secretary/Treasurer. He is also Board eligible with the American Board of Endodontics (ABE). Striving to remain at the forefront of Endodontic advances, Dr. Hatch enjoys regularly participating in Dental Continuing Education on both a local and national level. Dr. Hatch is the author of several published dental articles and has lectured internationally on various topics relating to endodontics. His ability to speak Spanish and Portuguese also comes in handy when treating patients of various backgrounds. When away from the office, Dr. Hatch is active in the community and regularly serves in his church. His biggest hobby is spending time with his wife Alissa and their four children. “After a busy day at work, it’s nice to go home and hang out with my family to relax and recharge my batteries”, he says. He also enjoys spending time outdoors and training in Brazilian jiu-jitsu. “The Columbia Basin is such a beautiful part of the country, which makes it easy to want to spend time outside whenever possible”, says Dr. Hatch.